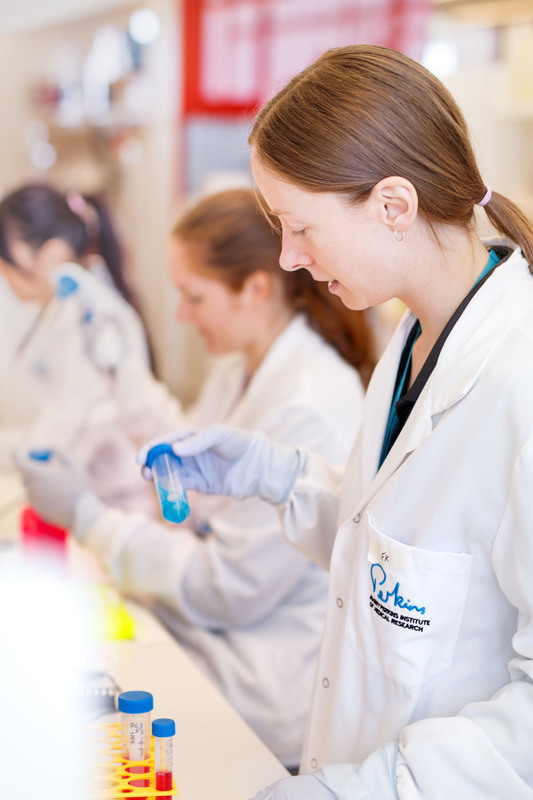 Right now, in labs right here in Perth, hundreds of scientists are working toward the next medical breakthrough. When you make a tax-deductible donation to The Harry Perkins Institute of Medical Research it allows us to plan for our big goals, like making cancer non-lethal, discovering disease genes that give families answers they so desperately need and finding treatments for heart disease. Your donation supports brilliant minds at work with the best interests of your family and loved ones at heart. You provide researchers with stability and security so that they can focus solely on lifesaving research. With your support, the results of these hardworking researchers could one day help millions of people stand up to any number of devastating diseases, now and in the future. The breakthroughs Perkins researchers are making in the labs will lead to potential cures. Without research, there are no new treatments, no advances in medicine, no chance of finding that one thing that will stop a disease in its tracks. Together we can do more. With your help we will fight these deadly diseases. So don’t forget your loved ones in your training regime for the running festival and give a little so that we can work on keeping your family together longer. What you can do right now. When you sign up for the Perth Running Festival, you can also make a tax-deductible donation to the Perkins to help fight the diseases robbing us of our loved ones. As part of your Running Festival registration, simply select the donation amount you prefer and add it to your registration. The impact in the labs is immediate with all donations coming directly to the Perkins.